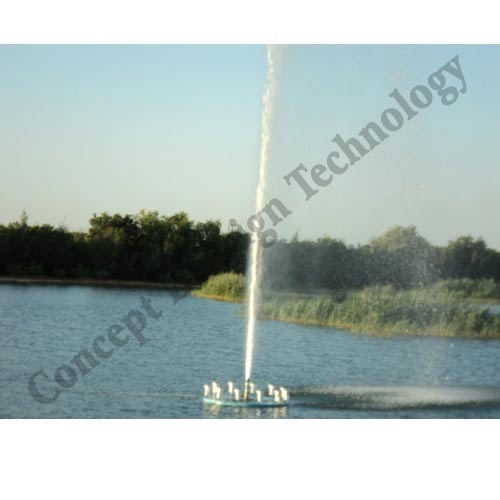 We offer a wide range of lake floating fountains that provide the much needed aeration for pond or lake. The pump bodies in the fountain provide a base for up to eight easy to change nozzles. These fountains are easy to maintain and can be used in residential as well as commercial buildings. Aerators use an axial propeller for maximum flow rates. Horizontal motors are available for shallow ponds. Patterns range from 6 to 24 feet. An exception is the unique dual stage "combo" with patterns to 40 feet high!